While there have been many great tournaments with a lot of exciting basketball to watch, it is inevitable that is the final game that resonates so strongly amongst fans, players and coaches. A team or individual can have a stunning tournament but if they fall at the final hurdle, very few people will remember their success or good times, it is the final moment that is remembered. Similarly, it doesn’t matter how slowly teams start or how they get on in the group stages, as long as they get through the group stage. This is why we are going to look at some of the previous EuroBasket finals because these are the games that matter the most, the games that see the Gold medal being presented to the winning side. 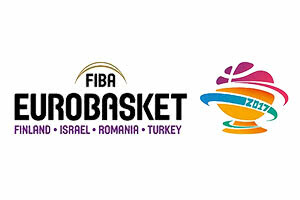 The 2015 FIBA EuroBasket was played in a number of countries and the final game was played in Lille in France. These two teams had clashed in the 2003 EuroBasket final, a match which Lithuania triumphed by a score of 93-84. The Lithuanians actually held an advantage over Spain heading into this game, with three EuroBasket triumphs to two. This meant both teams had a huge incentive to defeat their rival, never mind win the tournament. The Spanish were the favourites for the game and they raced into an early lead and by the end of the first quarter, the score was 19-8 to the Spaniards. There was a need for Lithuania to bounce back, and they did quickly, taking the second quarter. However, this was only achieved with a buzzer beating three-point shot, so the Spanish were still in the lead at the break of the game. The Spaniards would strengthen in the third quarter, holding a 17 point lead and this would see them home in good style. The Spanish side were many people’s top for success in the 2015 EuroBasket event and they managed to get over the line with a minimum of fuss and effort. Pau Gasol of Spain was listed as the MVP of the tournament and he, alongside Sergio Rodriguez, were named in the All-Tournament team. Jonas Valanciunas and Jonas Maciulis were Lithuanian representatives in the All-Tournament team. The 2013 EuroBasket event was held in Slovenia with the final game taking place in Ljubljana. France pulled off a shock result in the semi-final defeating Spain, with the Spaniards being many people’s tip to take the tournament. This meant the French side were placed a high degree of pressure in the final game but they rose to the occasion once more, defeating Lithuania with a bit to spare. However, it was Lithuania who took the first quarter by a score of 19-21 and many were wondering if the French side would crack under pressure. These fears were blown away in the second quarter, with France taking control with a 31-12 score line, giving them a 16 point lead at half-time. France did more than enough to solidify their position in the third quarter, extending their lead by a further two points. The Lithuanian side managed to claw some of the deficit back in the final quarter of the game but in the end, it was France who ran out winners by 14 points. Nicolas Batum provided 17 points for the winners in the final match while Linas Kleiza provided 20 points in the loss. Lithuania was the setting for the 2011 version of the FIBA EuroBasket tournament and it was the basketball mad city of Kaunas that welcomed Spain and France to the final. While the French were in the match for long periods, the Spanish always looked as though they were in control of the game. The fact that the Spanish side managed to individually win the first three-quarters and then tie the final quarter indicates the level of control that they had in this game. The half-time interval saw Spain lead by 9 points, and the Spanish side scored 25 points in each of the opening three quarters. The final quarter was played out at a score of 23-23 but the Spanish side knew they had the tournament in the bag long before the last buzzer of the night. Juan Carlos Navarro had grabbed 35 points in the semi-final win against Macedonia and he helped himself to 27 points in the final. It was no surprise that the player received the MVP award for the tournament. In the final, Pau Gasol delivered a double-double of 17 points and 10 rebounds. We may not get to see a nail-biter like the 2007 EuroBasket final this summer but you can be confident that there will be some fantastic games to look forward to and hopefully the final will be a fitting climax to the tournament.